TechWyse IT Solutions, Toronto, has been invited to speak on the internet marketing industry at the prestigious Parker Chiropractic Seminar, scheduled to be held at Las Vegas Hilton from February 7 to 9, 2008. This invitation for an Internet marketing talk, is aimed at providing the proper guidelines to health care professionals in achieving internet marketing success. The invitation comes in the backdrop of the remarkable feed back from TechWyse’s latest website development and successful marketing release of www.alliancehealthcare.ca. 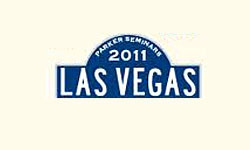 The Las Vegas Chiropractic seminar is the first of a serious of Parker Chiropractic Seminars. This will be followed by the one at Hilton Montreal Bonaventure from May 15 to 17, 2008 and the one at Rimini, Italy from June 26- 28, 2008. Parker Chiropractic Seminars are held periodically to promote and popularize the Chiropractic model of health care treatment. The Chiropractic model of health care treatment focuses on the free and uninterrupted flow and functioning of the human nervous system. This is achieved by removing all disruptions and distortions in the energy flow caused to the biological system, through vertebral misalignments, referred to as subluxations. A Chiropractic health care specialist restores, strengthens and optimizes the nervous system, and facilitates the free flow of energy to all parts of the human body. Chiropractic method of health care treatment is a holistic health model, and is based on sound health principles. Grays Anatomy (30th edition, page 5) specifically states "The nervous system controls and coordinates all the other organs and structures, and relates the individuals to his environment". Chiropractic therapy strengthens the human immune system and helps people lead healthier, fuller lives and assures them long time wellness. Chiropractic is one of the fastest growing primary health care professions, and is the 2nd largest primary health care delivery system in the world. There are over with 55,000 chiropractic specialists practicing in several countries of the world including USA, Canada, Australia, New Zealand, Japan, Mexico and Israel. The invitation, extended to TechWyse internet marketing Toronto, for a lecture on "internet marketing" is aimed at familiarizing and helping the chiropractic health care specialists with successful internet marketing tips, enabling them to achieve online publicity and instant internet marketing success. "We recognize the importance of presenting a well defined message from private health care practitioners. Connecting the patient to the doctor is an essential piece for both a patient’s health and doctors credibility. 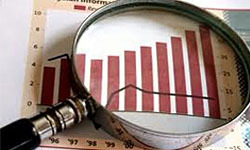 We help build these campaigns with innovative planning and research techniques coupled with proven internet marketing methodologies." Mr. Daryl Kennedy, The founder and CEO of TechWyse internet marketing was highlighting the increasing need of both the medical practitioner in successfully putting his message across to the patients as also the ability of the patient to search and find a chiropractic doctor. The instant internet marketing success achieved by several health care companies in North America, including Alliance health care has been attributed to a string of innovative Internet marketing campaigns conducted by TechWyse. 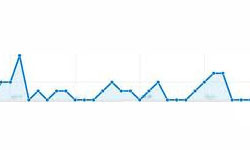 TechWyse uses an array of internet marketing tools such as conversion friendly website designs, Google Analytics, Pay per click, E mail marketing etc to help companies achieve higher search engine rankings and business volume. As I am dealing with Chiropractic treatment method, I think this natural treatment method can solve all problem with nervous system. In my experience I found it is successful in almost every case.